Weekend festivities: Catch a spectacular fireworks display on Friday evenings, score exciting giveaways on Saturday, or cheer on your little ones as they run the bases after eating free on Sunday. Promotional value expires Sep 2, 2019. Amount paid never expires. Refundable only within 24 hours of purchase. Limit 8/person. Valid only for option purchased. 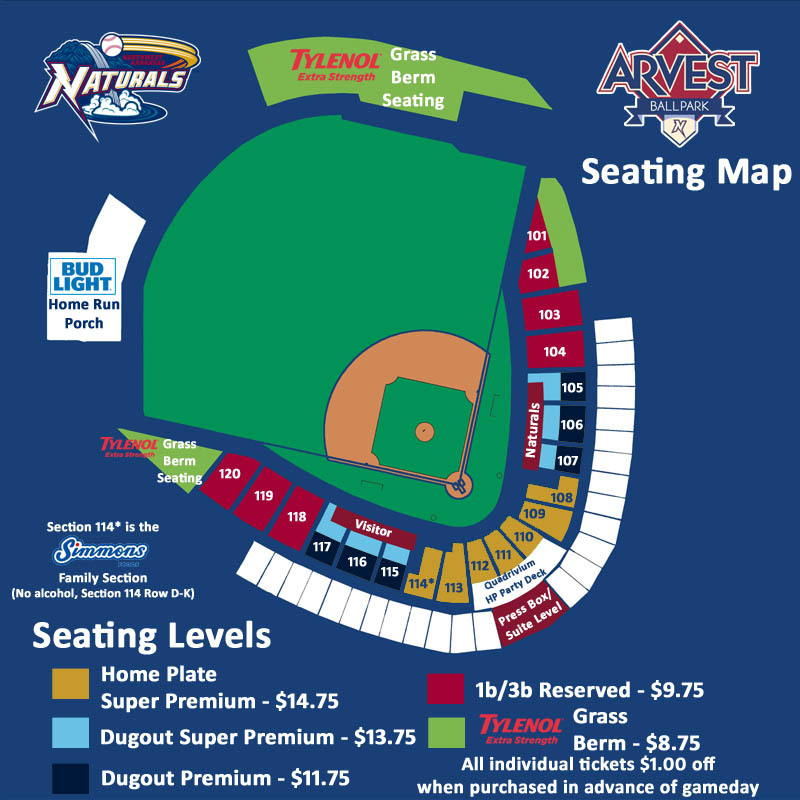 Redeem in-person at the Arvest Ballpark box office on the day of the game or in advance on non-game days Monday–Friday from 12 p.m. to 5 p.m. and Saturday from 12 p.m. to 2:30 p.m. Not valid 05/04/19, 05/17/19, 06/06/19, 08/16/19, 08/30/19, or 09/01/19. Must redeem together to sit together. Merchant is issuer of tickets - discount reflects current ticket prices, which may change. ADA seating cannot be guaranteed; contact box office prior to purchase for availability. Ticket value includes all fees. Merchant is solely responsible to purchasers for the care and quality of the advertised goods and services. Offer is not eligible for our promo codes or other discounts.